Eccentric, funny, quirky and talented…no, I’m not talking about myself, I’m talking about the literary legend that is, Dr Seuss. Born in America in 1904, Theodor Seuss Geisel, otherwise known as Dr Seuss, has become one of the most well known children’s authors of all time. His poetic, nonsensical writing style fast became a hit with children and parents alike and, since his death in 1991, his books have been made into cartoons, movies, Broadway Shows and much more. My kids, however, have grown up with Dr Seuss. The Cat in the Hat movie a few years ago was my eldest son’s favourite film for a long time. I studied, Seussical, for a show at dance college, The Grinch is a family favourite at Christmas. They have been ‘Seussed’ far more than I was at their age. Dr Seuss really divides opinion. I think he is the marmite of the kids literary world, you either love him or hate him. For a long time, I was on the fence, but after putting my own preperceptions to once side, I think I have come to the conclusion that he’s a completely bonkers genius. I was given the opportunity to review a couple of Dr Seuss books a few weeks ago, and I jumped at the chance. I wanted to see if my kids could find something new to get their teeth into, and to help them be more creative/think outside the box. After listening to my 2 eldest boys read them, I quickly came to realise how different my kids brains work. My eldest read the books and, if I am honest, didn’t enjoy them. He is 8 and a very competent reader. He is very creative but likes a good story and the juxtaposed nature of the ‘story’ just didn’t suit him and his reading style. He found it hard to understand and said it was ‘nonsense’. He finished the book and said he would rather read something else given the choice. My 6 year old, however, loved the books. He is still very much learning to read. I sat with him and read, Green Eggs and Ham. The rhyming nature of the book, coupled with the quirky, intricate drawings and the made up words, really made him stop, think and sound out what he was reading. The ‘nonsense’, made up, words came to him as easily as the real ones, and seemed to make sense to him in the context of the story. He didn’t seem to care, nor mind, that it was verging on jibberish. He found it entertaining and funny to read. He also loved the repetitive nature of the rhyme. The toddler, well, he liked being read to by his older brothers and had a good look at the pictures in the books, dispite holding them upside down! So there we go. Dr Seuss won’t be for everyone but from my experience, they’re brilliant for new readers to get them to slow down, sound out and concentrate on what they’re reading. Thanks for the opportunity to review the books! Children who are learning to read, are learning to connect the sounds that go with letters so that they can then put them together to make words, which then become sentences. Repeating sounds and phrases frequently, helps a child master this skill. Dr. Seuss is the master of repetition, while using limited vocabulary—an ideal combination for a new reader. Sometimes the most difficult part of reading is getting your child to pick the book up in the first place. 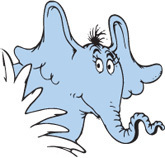 I think most new readers would enjoy Dr. Seuss’s wacky storylines and crazy characters. With magical worlds, and wonderful creatures, Dr. Seuss teaches readers many important life lessons. For example, The Lorax, is a great book for teaching children the importance of taking responsibility for the earth and to take care of what we have, along with the consequences of what can happen if we don’t. This book is in a ‘Top 100 Books for Children’ list. It is a simple rhyming book for new readers, with a fast paced plot about a boy and a girl, named Jay and Kay, and the many amazing creatures they have for friends and pets. Interspersed with some rather surreal and unrelated stories, such as a man named Ned whose feet stick out from his bed, and a creature who has a bird in his ear. 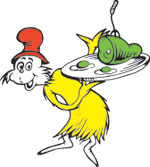 Quirky, zany, Seuss at his best. My 6 year old really loved this book. A great book to buy as a gift for a child of 5/6 years old to encourage them into reading. The pictures were funny and prompted my son to ask lots of questions which was brilliant. We read happily for over 20 minutes which is most unusual for my son! Green Eggs and Ham is about Sam-I-Am, trying to convince the narrator to try green eggs and ham. He spends most of the book, offering the unnamed character different locations and dining partners to try the apparently delicious delicacy. After initially being full of scepticism, in the end, the unnamed character relents and eats the green eggs and ham, which he ends up loving! A story eerily familiar to many a mealtime in our household! A story with a great life lesson for kids, told in a fun way. Another hit with my 6 year old and the best of the 2 books according to my 8 year old. You can buy the books from Amazon by clicking the titles above. They are really eye-catching and approximately A4 in size, so lovely for a child to see if being read to buy a grown up or if you were reading it to a class full of children, everyone would be able to see the drawings without any issues. The books are printed in a large, easy to read, font, which makes it easier for new readers to see & follow. Do you like Dr Seuss? Do you read these stories with your children? Make brushing their teeth fun with Playbrush! Nia Patten recently posted…Bourjois 123 perfect CC Eye Cream| The Under Eye Concealer That Does It All! agreed! And if you ever get to go to Coronado Island, San Diego- you will see how he was inspired there- even the trees influenced his drawings! great post! One day Brenda, I’ve not made it over to the US yet but it’s on my to do list. Yellowstone, Yosemite, Chicago, San Fran, NY…all on my list but when the kids are a little older I think. SO much to see, so little time! Thanks for reading and commenting. I’ve been over to your blog and commented too. I liked your facebook page but the link didn’t work so I just searched for it, neither did the twitter one just to let you know. 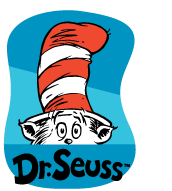 I have to say that Dr. Seuss is quite new to me – my kids like the films but don’t have any of the books and I never read him as a kid (Roald Dahl ALL the way!). However, I teach a fair few American/Swedish kids and he is very well known to them and I have recently read Green Eggs and Ham to them! I love the books but I get so tongue tied reading them and end up looking like a spaz haha. Horton Hears a Who is a fav in this house!